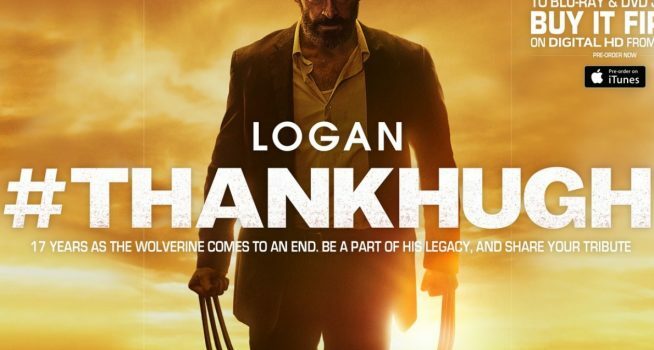 Twentieth Century Fox Home Entertainment is inviting fans of Hugh Jackman and the cult X-Men series to pay tribute to Wolverine with its new #ThankHugh campaign, designed to celebrate the digital, Blu-ray and DVD release of Logan. Supported by integrated communications agency History Will Be Kind (HWBK) and Frank PR, the 360-degree marketing initiative features a raft of digital, social, paid and media-led activities, including a nationwide search for the best social media tributes to the iconic character backed by exclusive prizing opportunities. Kristen McGrath, associate director of publicity and promotions at Twentieth Century Fox Home Entertainment, said: “With the #ThankHugh campaign, we’re paying homage to Hugh Jackman, his career-defining role and legendary portrayal of Wolverine. Emma-Jane Granleese, managing partner of HWBK, said the team is excited to build on the success of last year’s X-Men: The Apocalypse campaign. “At HWBK, we are audience-centric, channel agnostic and data-driven – a powerful combination that allows us to work collaboratively with clients across disciplines to get great results,” she said. To find out more and send your #ThankHugh tribute, visit www.thankhugh.com.au.